As I mentioned before that CES would be filled with UltrBooks from different manufacturers trying to capture the same market place that Apple has had for the last couple of years with the MacBook Air. HP not to be left behind came out with the Envy 14 Spectre. Basically a thin and light notebook targeted at the small business market. Almost fully clad in Gorilla Glass..
"Glass who puts glass on a Notebook????" Ok HP says that using Gorilla Glass will make the laptop more scratch resistant. But is it Shatter Prof??? I mean if Bump my MacBook Pro against the corner of a desk and it gets a dent in it I may be able to live with that ... but if you bump the HP Envy with the same corner will it shatter???? Other info that was released is no dedicated graphics chip??? Come on sounds like an over grown NetBook... With SSD hard drive and Beats Audio included .. While the previous version ran on Honeycomb and utilized a dual-core Qualcomm 8260-1.2Ghz CPU, the Asus 370T will ship with Ice Cream Sandwich and houses a quad-core Tegra 3. No word yet on the actual speed of the processor, though. The previously announced stylus peripheral has been dropped for the device. The Asus 370T will (if its not vaporware ;) ) with 1GB of RAM and at least 16GB of storage. It also sports a 1,280x800-pixel IPS screen that delivered smoothly scrolling menus. 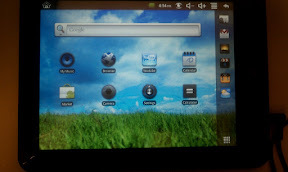 Has very similar, dimensions to the Acer Iconia Tab A100. The 370T even hits the typical-for-a-7-inch-tablet weight of 0.88 pound, right on the nose. Front facing 1.2 megapixel camera and 8-megapixel rear camera ..
Eric Franklin got to play a bit with the Possible 249$ Asus 7 inch Tablet at CES and the photos show a different story... but then again this could just be the proto type. 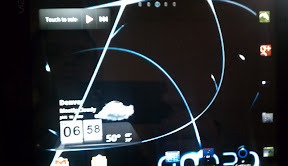 Not Really that much to show up front no hard buttons... great size but I am partial to the 7 inch tablets. There is suppose to be a front facing camera .. but can't see it from this shot. Looks like a couple of speaker cut outs on the back straddling the rear facing camera notice on the top is power or is that head phone jack? and on the left looks like volume rocker and maybe the ON/OFF button. WHOOO SD card slot or proprietary plug for power?? mini USB?? No HDMI out???? WTF .. not that I ever use HDMI on my tablets... kinda something that may be missing ... I'm sure this is pre-production and a proto type but.. really??? So is the for Power or is it the head phone jack ... if its head phones.... NO SD SLOT??? so you can not load it up with 32GB card???? I definitely will wait to see this one..
Samsung follows suit by announcing the 2nd Generation of their Series 9 Ultra-Books or thin and light series. "More important, is the new 1,600x900-pixel resolution display, which will be available in both 13.3- and 15.6-inch models (the original Series 9 came in 13-inch and 11-inch variants). Samsung says the 15-inch version is squeezed into the equivalent of a 14-inch laptop chassis, making it the "world's thinnest and most compact 15-inch premium notebook." The Hopper is the main unit that will broadcast to all of the Joey's in the home. Content available through out the entire house. 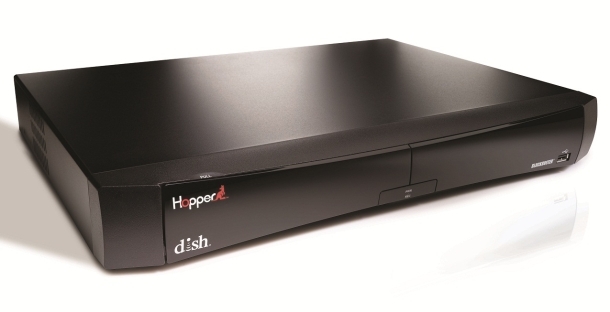 "While other DVRs in the industry have limited DVR sharing capabilities, the Hopper and Joey system offers the ability, from up to four rooms, to manage their DVR, record and play back HD shows, and watch live HD programs," the company said. Also access to PrimeTime giving access to HD TV shows on the same day they were first aired ..
Holy smokes 80" Sharp Aquos "At CES in Las Vegas today, the company unveiled its Aquos Board, 80-, 70-, or 60-inch screens that offer an all-new "touch solution" and that gives users new ways to share content among workers." And the "Sharp continues its 2012 Quattron onslaught with four new models, in 60-inch and 70-inch versions, featuring its brightest Quattron panels with 3D and an ultraslim aluminum design." Now where would you put this ???? Sharp Says the entire line up with feature built-in WiFi and Sharp's SmartCentral that delivers streaming options like Netflix, Hulu (hmmm still can't get that even on my android tablet..) and many others .. ..